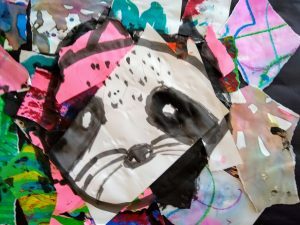 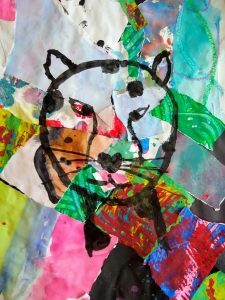 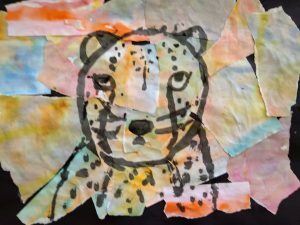 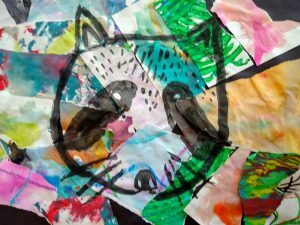 Fifth graders experimented with several techniques and materials with this project. 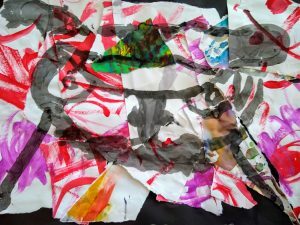 They first chose any medium they desired, and responded to music on a giant piece of paper. 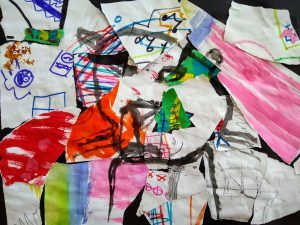 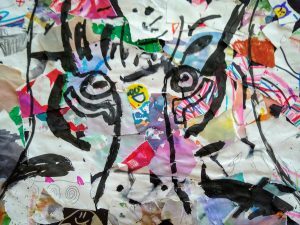 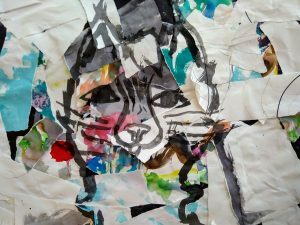 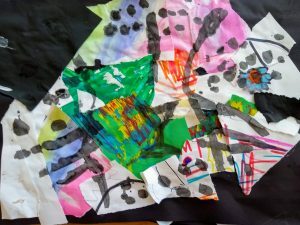 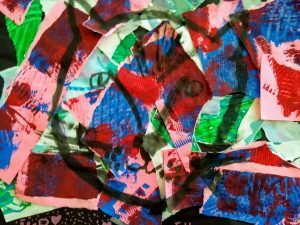 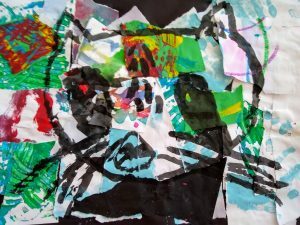 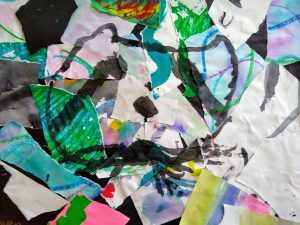 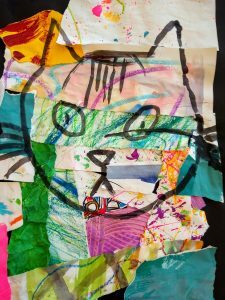 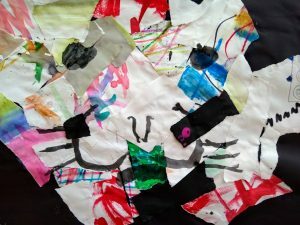 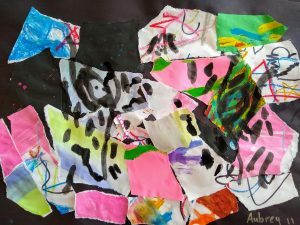 Then, they ripped up their art, and reassembled a composition with the entire class’ ripped pieces. 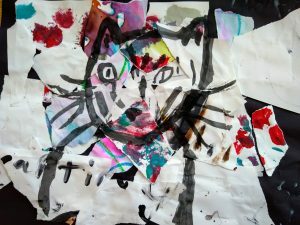 Lastly, they painted the face of an animal on top using India ink.